Home » Blog » Articles » Are Distributed Workforces Working? Distributed teams have been called the future of work. Distributed work—known variously as remote work, virtual work, or telecommuting—serves the needs of companies that have clients and business connections around the globe. It’s changing both the way companies operate and how people relate to their employers. 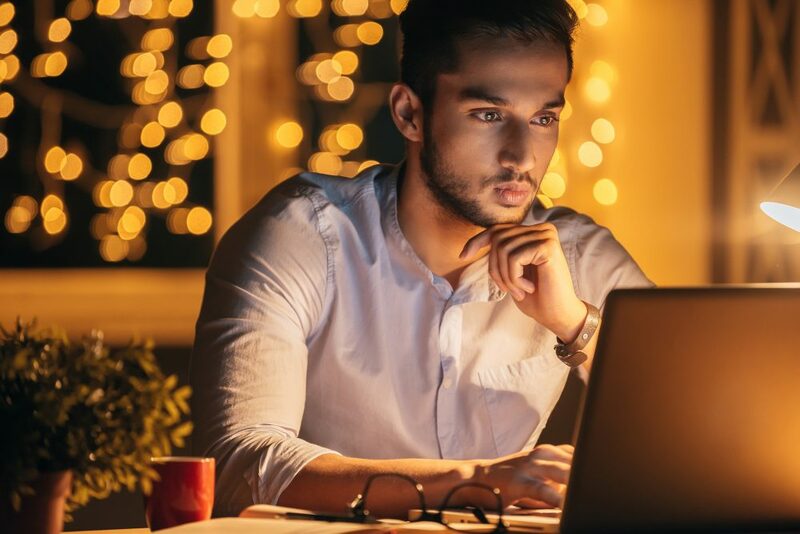 The effect of remote work on business productivity has been positive, Forbes notes, with measurable increases in productivity, lower costs for overhead, decreasing rates of employee turnover, and benefits for both worker health and the environment. Understanding the nuances of the world’s rapidly evolving work patterns is essential for today’s executives. What contributes to virtual teams that work? What executive business resources are available? How can managers and executives make the most of a far-flung workforce? Advanced education can help answer these questions. Washington State University’s online Executive MBA program includes course work that can be valuable to graduates who may go on to lead companies with distributed teams. A distributed workforce is one that is not constrained by the traditional office environment. Colleagues may be across the country rather than across the hall. Meetings may involve screen-sharing while communication between coworkers happens in the cloud rather than in the breakroom. Some 4.3 million people now work away from the office at least half of the time. Millennials may be credited with driving the trend, but the typical telecommuter is middle-aged, college educated, salaried, and not part of a union. He/she makes an estimated $58,000 a year and works for a company with more than 100 employees. Larger companies are more likely to accommodate telecommuting than smaller ones. Fortune 1000 companies around the globe are revamping their office space around the fact that many employees are already mobile. As the trend grows, more than a third of business leaders surveyed at a Global Leadership Summit said they expect more than half of their workforce to be remote by 2020, Fast Company reported. Improved productivity:S. companies lose an estimated $1.8 trillion a year in productivity to office distractions such as water cooler gossip, as well as excessive commuting and employee health problems. More loyal employees: High turnover rates can be costly for businesses. Prioritizing work-life balance offers businesses an edge. The magazine cites a study by Staples Advantage that found workers who had the option to work remotely were more willing to put in overtime and felt more loyalty to their company. Retaining more experienced workers: As life expectancy increases, many people opt to delay retirement to keep their minds active. The opportunity to work remotely could encourage more experienced employees to make this choice. Another significant advantage is access to a larger talent pool. Alex Turnbull, founder of GrooveHQ, which develops help-desk software for small businesses, learned this lesson when he started looking for a full-stack developer. He tried to limit his search to his local area but couldn’t find anyone with the right mix of skills, work experience, and related qualities. GrooveHQ team members now operate from several states as well as countries such as Russia and Bulgaria. Search and recruiting campaigns have shrunk from 6 weeks or more to 3 weeks or less. Distributed work can provide benefits and satisfying growth opportunities for both companies and workers. But remote teams are not the answer for every situation. They can also require different priorities as well as diverse operational and management techniques. Make time for small talk to build rapport with all members of the team. Use video as much as possible. Other communications technology, including Slack, Google Drive, and Zoom can keep people connected. With much of human communication being non-verbal, video lets managers pick up on non-verbal cues and body language. Plan longer one-on-one conversations with employees. Get the team together face-to-face at least once a year. Set expectations for work. Clearly communicate the hours people need to be available, their productivity benchmarks, and any rules for meeting attendance, whether virtual or in-person. Use technology for project management and time tracking. Aim to create and maintain a strong, inclusive company culture that treats remote workers and office workers equally. Remote work is becoming the norm for modern businesses. An online Executive MBA from Washington State University can help tomorrow’s leaders develop the knowledge and skills to be in the forefront of this emerging trend. Washington State University’s Carson College of Business offers an online Executive MBA program that can prepare graduates to be influential leaders of both office-based and distributed teams. For more information, contact WSU today.